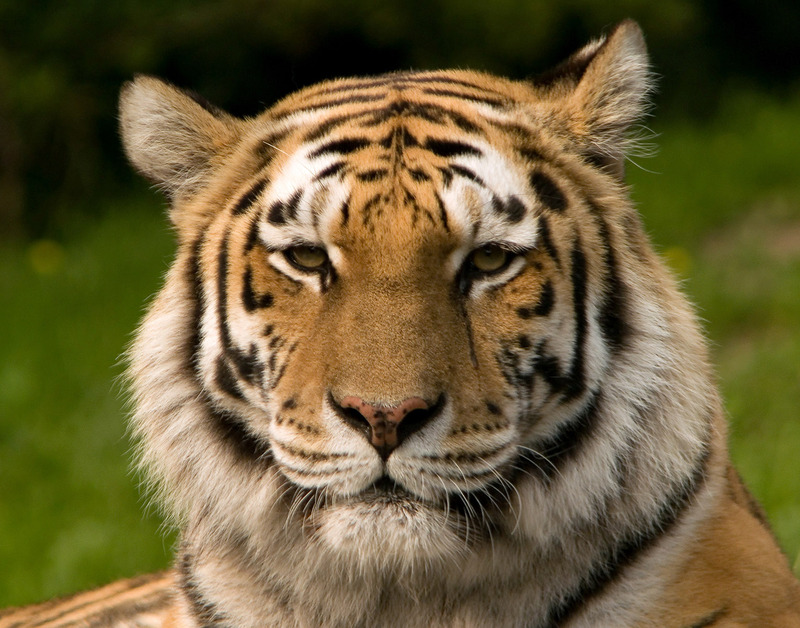 The Siberian (or Amur) tiger is the largest of all the cats. Once numbering in the thousands, their population has dwindled to less than 400, mostly along a narrow range of mountains in southeastern Siberia, along the Sea of Japan. With a massive build, powerful limbs, and large canine teeth, these apex predators are built to hunt. Siberian tigers have long retractable claws for catching their prey which are pulled back into a protective sheath when walking to keep them razor sharp. They prey on the deer and wild pigs that live in their territory, which ranges from 250 to 450 square kilometers for an adult female. almost twice as large as an average adult lion. Tigers are nocturnal creatures for the most part, but the Siberian tiger is also active during the day. They have keen eyesight which can pick up even the slightest of movements and their hearing and sense of smell is also quite sensitive. Female tigers have litters of two to four cubs every few years. The cubs are nursed for five or six months before they are old enough to leave their den and join mom on hunting trips. After a year they can hunt for themselves and by the time they reach three to five years old they will strike out on their own. The Siberian tiger’s future is uncertain. In addition to the pressures from poaching and loss of habitat, researchers have concluded that the sub-species has fallen below the critical threshold where its genetic diversity can sustain a healthy population. The genetic base of the Siberian tiger is less than previously thought, with an effective population of only 14 individuals. Effective population is a measure of the genetic diversity of a species. So even though the actual population is stable or climbing, genetically-speaking this sub-species is nearly extinct. 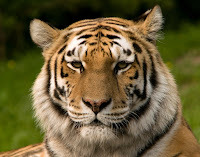 Is it just a matter of time before the Siberian tiger joins the Javan, Caspian and Bali tiger sub-species in extinction? Not if members of the Siberian Tiger Project have a say. Since 1992 the Wildlife Conservation Society has supported the Siberian Tiger Project, a dedicated group of scientists that use radio-telemetry to monitor more than 60 tigers to help with research and conservation efforts. Wildlife biologists have studied their habits, reproduction, and how they interact with other species, especially humans. Current research is focused on cub mortality and their struggle to survive to adulthood. They have learned that young tigers may roam over 200 kilometers to find new territory when they leave their mother’s care. Researchers are also trying to combat poaching and understand its effect on tiger population. They have estimated that four out of five tiger deaths are caused by humans. They realize it is vitally important to protect female tigers so that they can live long enough to ensure the survival of their cubs to the next generation. If you would like to learn more about the Siberian Tiger Project and their efforts, watch this documentary. If you enjoyed this article, you might also like my article on the Bengal Tigers of the Sundarbans.